Welcome to Pat's Pieceful Quilting website. Pat Nicholls is a quilt-maker who lives in Burnham-on-Sea and runs workshops and talks around the country on about just about every aspect of Patchwork and Quilting. Pat has been teaching Patchwork and Quilting for over 25 years, running her own day workshops and residential weekends, and workshops for groups in various parts of the country. She also taught a Patchwork and Quilting class for adults at Weston College for five years. As well as lecturing in Britain she has been the guest speaker at several events in the United States, and taught workshops in France and Spain. She was one of the Founder members of the Quilters’ Guild of the British Isles, finishing her ten year’s service on the Executive Council as President. She founded Blunsdon Quilters in Wiltshire in 1978, Brixham Quilters in Devon in 1984, and Weston Quilters in 1997; all three groups are still very active. 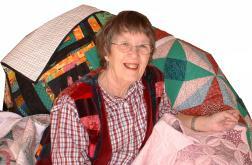 Pat enjoys teaching basic Patchwork and Quilting, encouraging beginners and novices to stretch their creative skills. As well as teaching, she has also developed several unique workshops – some slightly quirky! 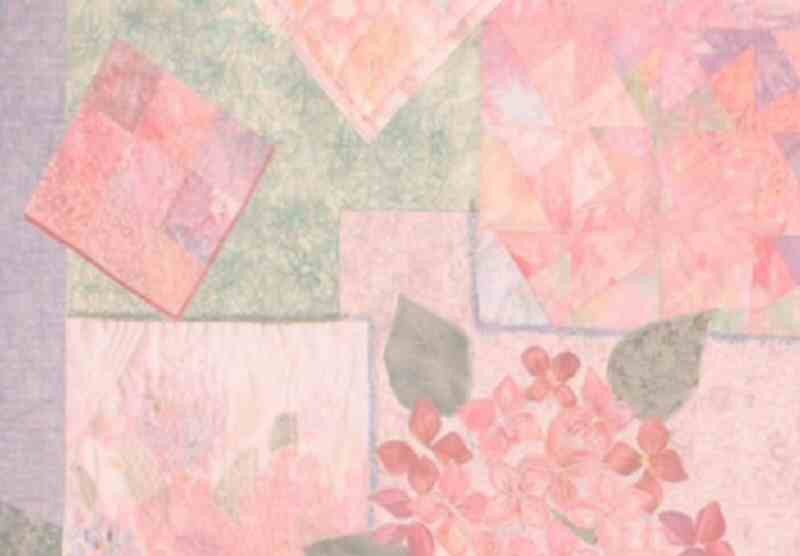 In addition to the workshops and talks featured on this website, Pat teaches Banner Making to church and school groups, and facilitates meditation, scripture and discussion sessions, based on patchwork and quilting. Pat also has a collection of children's books about quilting, see her Children's Quilting Books page to have a look! If you would like to browse a selection of work that Pat has available for sale, please call into Pat's online shop.